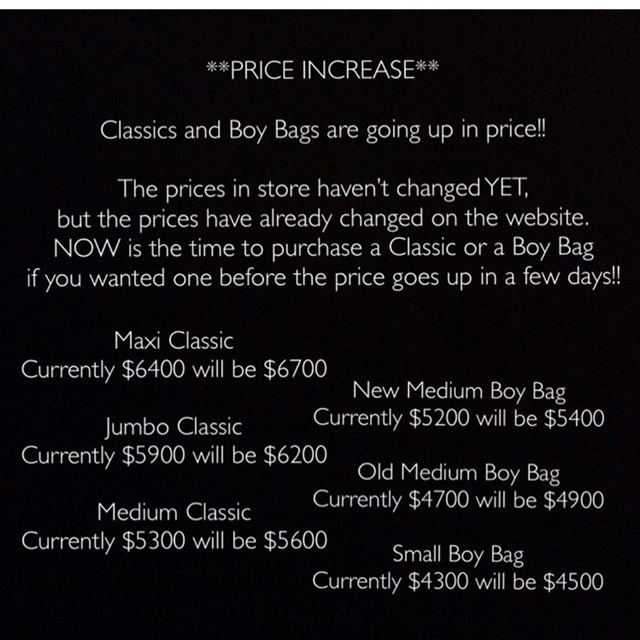 Since the beginning of Madison Avenue Spy, we have been tracking the prices of Chanel bags. In doing so, we have created a rich archive of pricing history. As Chanel shoppers brace for yet another price increase, which is slated to take place on November 1, we thought we would take a look back at the way things were. This season, most styles are increasing in price by about 6%. In the past, we've seen even steeper price jumps. Depending on the popularity of a particular style, bags have skyrocketed as much as 30% in a single year. 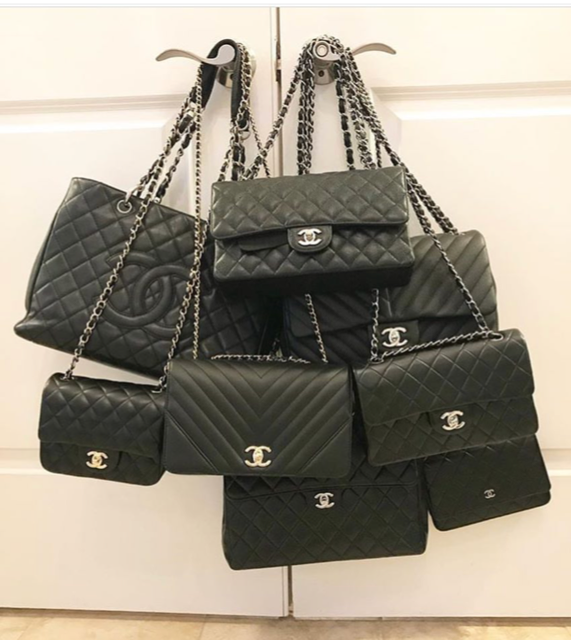 Don't fear, we were able to find lots of Chanel bags priced under $2000 browse through our above scroll to see what we found. Chanel generally evaluates prices in November and May. This year, we've seen upward price movement three times -- May, July and now November. This is a record number of price increases. In between 2010 and 2011, there were two price increases. 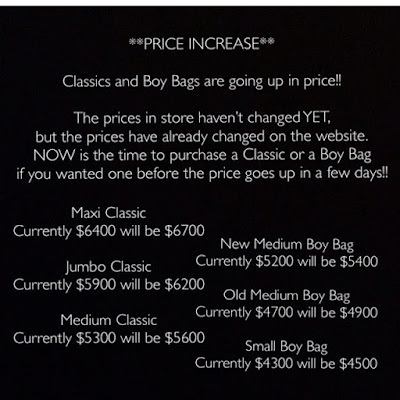 During that year, the cost of many bags vaulted $1000. In 2009, we proposed that Chanel was attempting to reach a similar price point of the coveted Hermes Birkin bag and it looks like they are making their way up there. 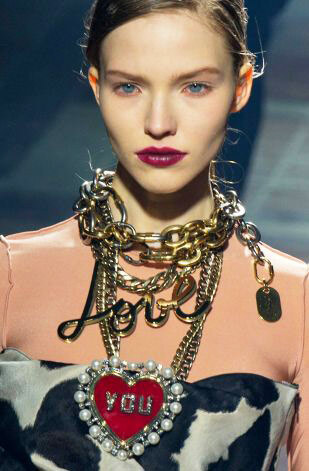 Perhaps Chanel is simply staying ahead of other luxury brands? We have heard reports that handbags sales are starting to stagnate. This might not be the best time for a price jump. What do you think? Do you know which bags are under $2,000? I think the WOC still retails for under $2k but im not sure any more.